“Water, water everywhere, but not a drop to drink”, these are the famous line of the poem the ancient mariner written by Samuel Taylor Coleridge. He wrote that line from the perspective of a sailor who was trapped in a boat during a storm, but I guess Samuel would have thought that his lines will be so much relatable in the present scenario as well. Water pollution is at an all-time high and almost every source of drinking water has some sort of contamination—which means we need to be very cautious about the water we use. Luckily, there are a lot of ways to ensure that the water we are drinking is safe. Why is Water so Contaminated? The short answer: An increase in industry lead to a rise in the number of polluting particles entering the air and the water. Some industries continue to dump their waste products, releasing harmful chemicals directly into the water, which apart from contaminating and polluting the water, kills the aquatic life. The usage of these processes usually depends on the water source and what it needs to uphold the country/state/or territory standards. Most municipalities test at the source site, so its important to note that anything the treated water picks up on its journey to your house doesn't show up on those tests. We definitely suggest going the extra mile to have the water tested that comes from your pipes—this is especially true if you happen to know that your pipes or the infrastructure to your home is old. If you do want to go further with your water, here are a few ways to make sure you're doing what you can for your water supply. Boiling. This is the first thing people think of when they think to purify their water, and it works well if you're working a biological threat to your health like algae or bacterias, but if your water has minerals like lead, boiling your water evaporates the pure water and actually concentrates the mineral. Using clay vessels. The clay is a natural filtration because of its porous nature. Water filters. A great step, filter it through something like a Brita filter but these types of filters only pull so much from your water, and often times the filters don't quite remove everything or they don't remove what your water is contaminated with (and usually they don't pull fluoride from the water at all). Reverse osmosis. This is the most effective way to filter water that we have, it's also the most expensive. If you're on a clean water bend and you're ready to take the plunge for your house, Reverse Osmosis is the way to go. It uses a system that removes everything that isn't good ol' H20. The science behind reverse osmosis is brilliant. First, its good to know that osmosis is the process where, given a permeable membrane, a solution/solvent ratio will find a balance on either side of the membrane. When it comes to water, we want to remove the solvents (contaminants) so we can drink it safely. Scientists found a way to use pressure to reverse the osmotic process so that the solvents concentrate on one side of the membrane, leaving pure water on the other side for us to consume. It's so effective that we can use it to remove salt from seawater—maybe there is a drop to drink after all. It's good to also mention here that reverse osmosis leaves just pure water, which is okay but the even purest water from our Earth has minerals in it. 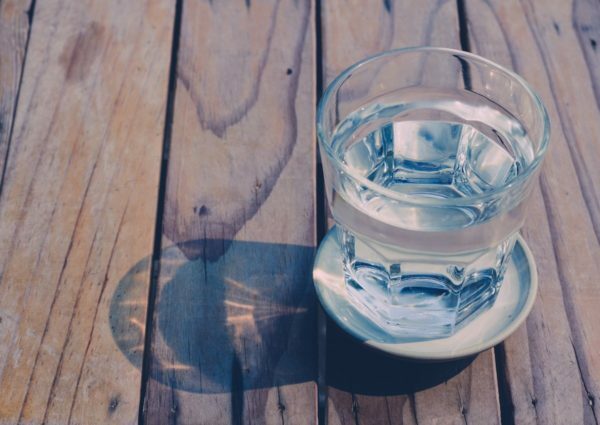 Pure water isn't necessarily bad for our bodies, but we suggest adding a few drops of something like trace minerals to your reverse osmosis water, just because water is a great way to get nutrients into the body. A lot more information about the most effective and economical RO systems can be found out on the site Watery Filters. These guys have extensively tested each of the RO systems mentioned on their site and have expertly reviewed them, enlisting their properties, features and their pros and cons as well. If you're looking forward to installing an RO purifier system in your house, you check them out. Tell us about how you ensure that your water is safe to drink in the comments below.